Because we are convinced that nature does not exist only outside the cities, since last year New Acropolis has been promoting the project “For the citizen trees!”. Working collaboratively with neighbors, local store owners, volunteers and those who wanted to join on the go, we kept the street of Bazeilles green in partnership with the City Council of the 5th Arrondissement of Paris. New Acropolis has also been collaborating since the Spring with the National Movement “the urban 48-hour agriculture” together with three other associations: La Sauge, IciTerre and Fourmilière. 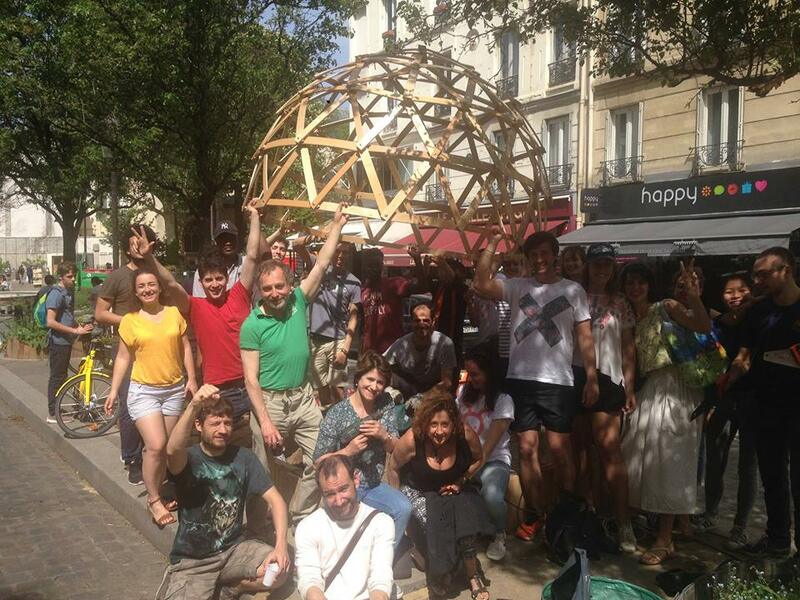 The result was two days of shared work, ecological workshops on the street and a sphere built with recovered slats on which climbing plants will grow.